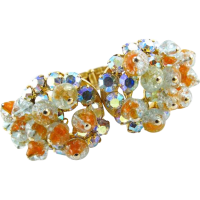 A lovely color on this vintage cameo brooch! 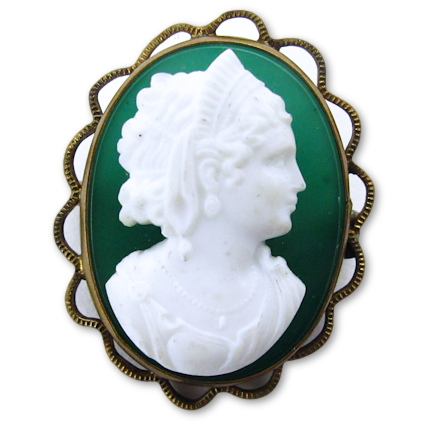 This highly detailed vintage cameo brooch is made from a translucent green glass with a white glass bust applied to it. 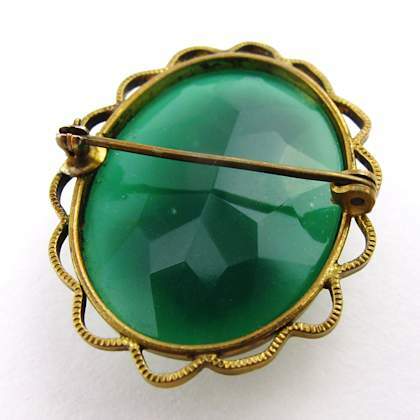 It’s a well made piece. 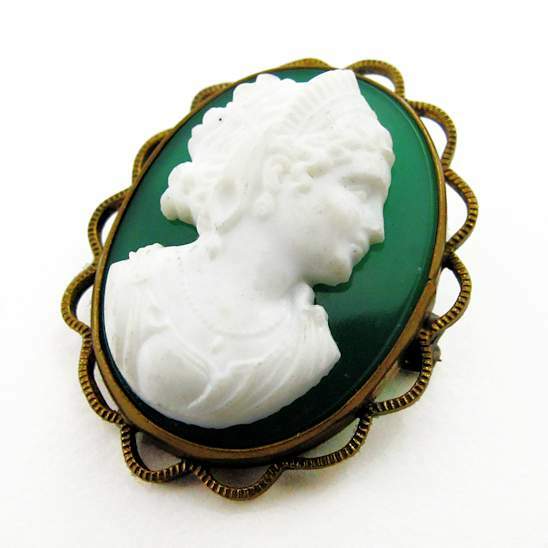 The cameo is very detailed and the green glass is molded with facets on the back side. 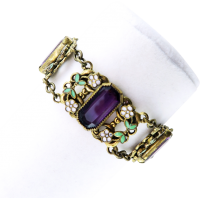 The brass frame is scalloped around the edge and has little etch marks in it adding to the texture of this piece. 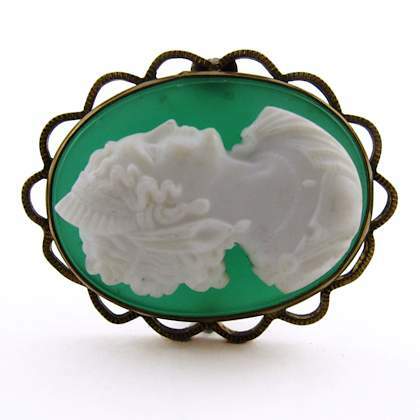 A really nice vintage glass cameo brooch. 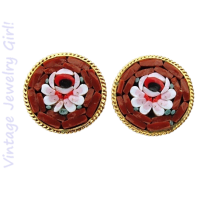 Condition: Very good with light wear.